NRA is reporting that the Missouri legislature has successfully overridden Governor Jay Nixon’s veto of Constitutional Carry, among other pro-gun measures. This makes Missouri the 11th state to adopt Constitutional Carry. This has been a good year for the movement, and Missouri is a decently sized state with a reasonably large city (St. Louis). It’s a good state to have under our belt. My only fear is that we’re making red states better, and meanwhile Bloomberg is showing a willingness to spend $600 grand a week to get what he wants in Nevada, and $200k to get what he wants in Maine. We have to punch him in the nose in purple states in a big way. Otherwise this is going to end up in bifurcation of the country, where the Second Amendment means a lot of different things depending on what jurisdiction you’re in. Bloomberg is willing to spend big money to make that a reality! What are you willing to do to fight him? Still goes to the MO House, but that should be an easy hurdle… I think they passed it on a veto proof majority to start with. In NV, NRA actually has 1-2 reps on the ground to fight the initiative. There is some phone banking and canvassing going on there, but the resources and volunteers available seem thin. The local paper is pretty libertarianish and gives fairer-than-normal coverage, which helps, so far as Old Media influence. There doesn’t seem to be a winning formula to rally the troops and organize opposition to these. Even getting gun owners to understand the issue and why its a reasonably-named-trojan-horse is very hard. I just read a couple news stories which said both houses voted to override the veto Wednesday night. It’s over. It’s a done deal. Hooray! What am I willing to do? I dunno. What can I do? I’m over here in Washington and I regularly follow this site and Joe Huffman’s blog and Miguel’s shindig over at GFZ.net. You guys are who I come to for gun rights news. Our attorney general recently called for an assault weapons ban and is working with lawmakers to craft the legislation. I don’t find out until days after the news broke. Where do I go? Who is there in the state of Washington to fight this? What presence does the NRA have? I do not know if Washington state has a gun rights organization like VCDL. Laws are enacted by people so it takes constant pressure and activism to know who and what your leglisatures opinions are and to push to get them to support gun rights and why that is good idea. VCDL has meetings and social occasions so like minded people can meet and support each other. Great way to organize groups and tactics, to teach the public that back grounds checks are bad. VCDL also has a great leader in Phillip. He keeps constant contact with VA leglistaure aand visits the leglistaures that make the laws regularly. They keep pressure on their lawmakers. Most people are lazy. But a few good people that have the time and make efforts can do a lot. You need to get a law enacted that repeals the background checks. Before you do that you have to educate the public. Nicely and reasonable. Get gun ranges to reach out and offer classes to younp people in middle and high chool to learn to shoot. Youth groups to teach and subsidize hunting and those type of sports. 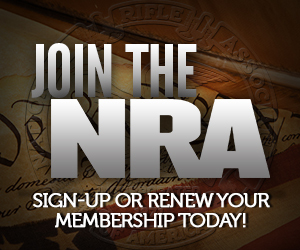 Join the NRA is a start. I think you mischaracterize Missouri as a red state. It is still a purple state with a red tinge. The governor, AG, and one US Senator are all Democrats. Obama only lost there in 2008 by less than 4,000 votes. It is a lot like your home state of PA – two very large Democratic cities at either end of the state with a lot of rural Republicans in between. True. And yet they are on the road to constitutional carry. Go figure. While PA sits here with the laziest legislature this side of the Mississippi. We had a complete Republican government, and the only thing we got was a bad bill regarding pre-emption that obviously would get struck down. As a former Pittsburger stuck in the Democratic People’s Republic of Kalistan: my heart bleeds for you! ;) What I wouldn’t give to have a legislature whose problem was not going far enough in meeting our desires…. :P Everything is relative. As a former Pittsburgher stuck in the People’s Republic of Marylandstan, I approve. Worse however than the legislature, I gotta put up with the Ravens. Here is what I believe, from what I know. Daryl Metcalfe in PA has had the reputation of being “the best pro-gun legislator in the state.” I don’t know to what extent he is an opinion leader in the General Assembly, but his opinions must extend significantly beyond his votes. Despite his reputation, he in fact knows nor cares nothing about guns, but has taken his opinions and guidance from a small number of gun rights activists who support him. Unfortunately those gun rights activists long gave de riguer lip-service to “constitutional carry,” while not supporting it at all; one told me, “because we have too many [minorities] in PA, so it could never work here.” All circumstantial evidence I ever saw indicated he took direction from people with that opinion. Perhaps what I’m saying has now given way and become ancient history. But if the question is why a big gun owning state like Pennsylvania is behind the curve, specifically with constitutional carry, it provides a plausible explanation; a very few people centered on an opinion leader’s district didn’t support it. I agree John, Missouri is a pretty middle of the road state. A lot of the Dems here are fairly reasonable (as the NRA endorsement of Koster shows) but Kansas City and St. Louis have some nutty pols, KC mayor’s desperate conference before the override vote is a good example. We’re not the 12th most red state in the nation, so the fact that we’re 12th to get Constitutional carry is a big deal. Even if it was a party line veto override, it does show that gun rights have a shot in some purple states. In a lot of ways, Missouri – or parts of it – is still a Southern state. It is making the transition from Democratic control a bit slower than the Deep South. I’d wager that many of the current Republicans were conservative Democrats at one time. Wonderful news. As usual google news has a damn blackout. I found out first here. Thank you. What I am willing to do is don a hazmat suit, hold my nose, and vote for Trump, my 347nd choice. Because if Clinton gets elected, it’s game over at the Supreme Court and almost every state will be a purple state. Under Clinton, the weapons ban in MD will stand, and the SCT will say that Heller only protects the right to own a revolver in the home (at best, as it may overrule Heller and McDonald entirely). The second amendment will mean whatever Clinton says it means. If Clinton gets elected, blue state legislatures like CA, MD, and NY will claim a mandate for gun control and push those states farther over the edge. Some red state politicrats will say “I told you so” about Trump and join up with the likes of the Clinton crowd. If Clinton gets elected, it will get real ugly real quick. Just did a quickie check, and to my surprise Missouri has a slightly smaller population than Arizona. So Arizona is still the largest state, in terms of population, which has constitutional carry. Even so Missouri is a huge catch for our side, pumping up the numbers of US citizens with constitutional carry to up around 26 million. So my WAG is that now about 1/3 as many citizens have constitutional carry as those which still suffer under may-issue regimes. I do understand the worry about states getting bluer and redder. But when more states were purple gun rights were on the declined. So I am happy that many states are getting redder. It was the avalanche from 1 state on CCW to the over 45 now that is pushing the very blue states to change.After all we got Illinois and Chicago for CCW. Plus DC is under intense pressure for non permit carry and looser CCW. It was the states that had carry permits and may issue like MD and NY that are hard to change. The 4 th circuit and 2nd Circuit has been very hostile. Bloomberg pushing the background that prevent borrowing is a big problem We have to step up and get notices in gun shops and ask gun owner to speak out to friends and acquaintance why that is a bad idea. We took years before we got the right response against the Brady bunch. But we won the war of ideas that having a gun is better than having a phone. We just have to push the idea that universal background is means not allowing you to teach your friends and children to shoot. Get it clear and concise and push back in comments and facebook and verbally. Make sure gun stores push the same line. Remember this: I believe weapons of war have no place on our streets. We may have our disagreements on gun safety regulations, but we should all be able to agree on a few things. If the FBI is watching you for suspected terrorist links, you shouldn’t be able to just go buy a gun with no questions asked. You shouldn’t be able to exploit loopholes and evade criminal background checks by buying online or at a gun show. And yes, if you’re too dangerous to get on a plane, you are too dangerous to buy a gun in America. PA is in play. I don’t care about your moral preening. The above is what we WILL GET from a Hillary presidency. That is a GUARANTEE. You think Trump is somehow worse? You and everyone in the U.S. has a choice. Vote for TRUMP or vote/don’t vote for Hillary. Don’t like it? Kill yourself. Those are the only choices. Nope sorry. Other choices are not voting or voting for third party. I’ll never vote for a liberal Democrat regardless of what party they are running in. Trump has supported waiting periods and assault weapons bans in the past. He would easily sell us out on UBCs and the terrorist watch list gun bans. Obama accomplished very little gun control in office. So spare me your dramatic end of the world hyperbole. Congratulations! Your virtue has been appropriately signaled! NOPE! Its not about “virtue signaling”. That’s all about saying something that’s easy to do and facing no consequences. This is about principles. Its not easy to go against the tide and refuse to vote for any liberal Democrats. That has to sarcasm. It is very easy to not vote for a liberal democrat. Trump is pro 2 A. At lesast this time around. Clinton is not. If you are single issue voter,it is easy. It is all those other pesky beliefs , principles that get in the way. Which is more important? Only you can decide that. You’d think it would be easy, but I keep getting gruff for not voting for Trump, who is a liberal Democrat! I don’t believe a word Trump says, and in the past he has supported 72 hour waiting periods and assault weapons bans. He also is in support of the Terrorist Watch List Gun Ban. I could easily see him selling us out on UBCs, and since he has an R after his name, other Rs would gladly follow him. As a single issue voter, Trump is bad on guns. As a multiple issue voter, Trump is bad on other things. Hillary sez thanks for your support. You think she will be BETTER on gun rights? Do you want to buy a New York City bridge, real cheap? She should thank Trump for his support. You know since he actually gave her money. You think Trump will be BETTER? He’s got a NYC bridge to see you real cheap! So you want to vote for Hillary? Did you know what she said? ” I believe weapons of war have no place on our streets. We may have our disagreements on gun safety regulations, but we should all be able to agree on a few things. If the FBI is watching you for suspected terrorist links, you shouldn’t be able to just go buy a gun with no questions asked. You shouldn’t be able to exploit loopholes and evade criminal background checks by buying online or at a gun show. And yes, if you’re too dangerous to get on a plane, you are too dangerous to buy a gun in America. So YOU are FOR “assault weapon BANS”, Secret lists to BAN gun buys and you WANT to vote for Hillary? I now know which side YOU support. No, again I refuse to vote for liberal Democrats. You can vote for one if you’d like. Again, Trump is FOR secret lists to ban gun buys. So I know which side YOU support. No question Trump is a conman and a liar. But then Hillary is incompetent, a liar and a crook. I don’t trust Trump on guns. But then Hillary is absolutely anti-gun. Neither candidate will be able to do much as president. Trump will have the entire establishment arrayed against him, and Hillary is dragging her scandals with her and will have a Republican Congress in opposition to her. What is distinctive in this lessor-of-two-evils election, is that one candidate/campaign/party is running as anti-gun, while the other candidate/campaign/party is running as pro-gun. No matter which personality becomes president, what do you think the nation as a whole will make of such an election contest? Do you really want to fuel the anti-gun meme that the nation “is at a tipping point” and becoming anti-gun? Hold your nose and vote for Trump. Heck, if I could do that with Romney vs Obama I can also do that with Trump vs Hillary! Your choice. If you think Trump will flip on guns then there is no reason to vote for him if you are a single issue. However I think he has evolved he had not quibbled and wobbled on gun rights this season. You can vote for Gary .I expect a lot of liberals are going to vote for him But a few GOP that can not stomach Trump will do that also. “Libertarian”. You keep using that work, I don’t think you know what it means. But he loves him some mary juanna. And open borders. Exactly. I don’t like Gary either for that very reason. His VP is possibly worse on gun rights! Gary is no friend of gun right . I know about him throwing away a gifted replica. So either vote for Trump who may have evolved or do not vote. Personally I know what Hillary will do. Trump is a crap shoot. But I will vote for the crap shoot. The next choice will be worse. No we don’t agree. FOAD. First, congratulations to Missouri on joining the CC club – come up to Maine and visit sometime. Second, Bloomberg’s background check referendum is in serious trouble up here – but we are not taking anything for granted, and will continue to fight it every day through November. Which is why the “smart” opponents are trying to boil the frog.